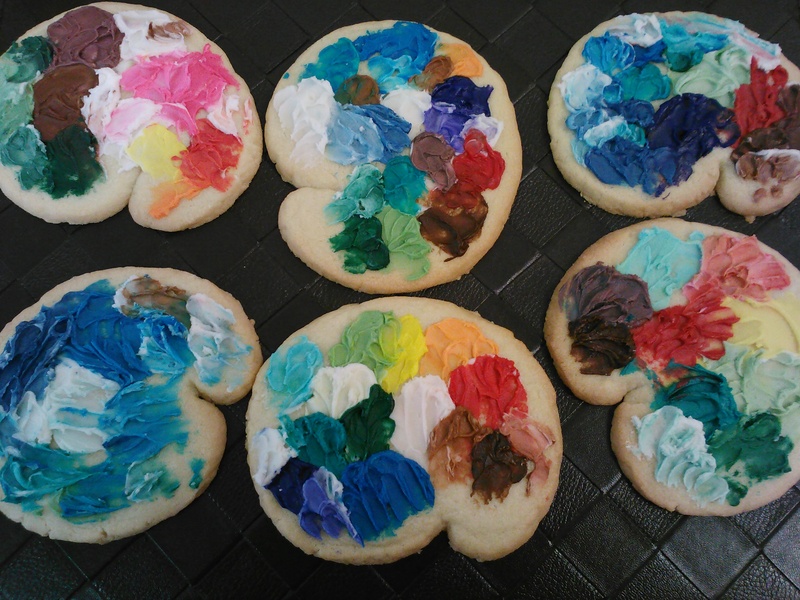 I really love these palette cookies. Something about the texture and the colors. I know it sounds corny but I imagined a painting for every one. Like the blue one, for that one I was imagining a water scene, and I love the splash of red on the one in the upper right hand corner. 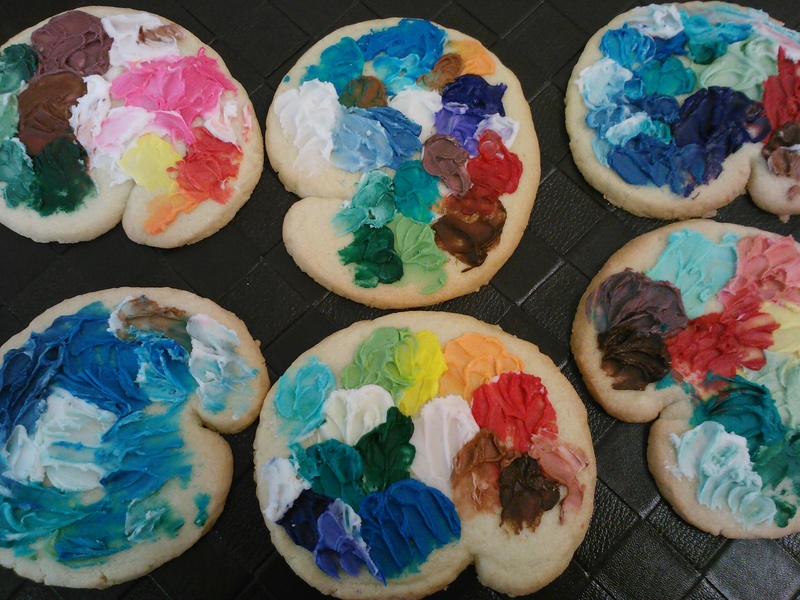 It’s like all the things I love about going to an art museum but all contained in a cookie! 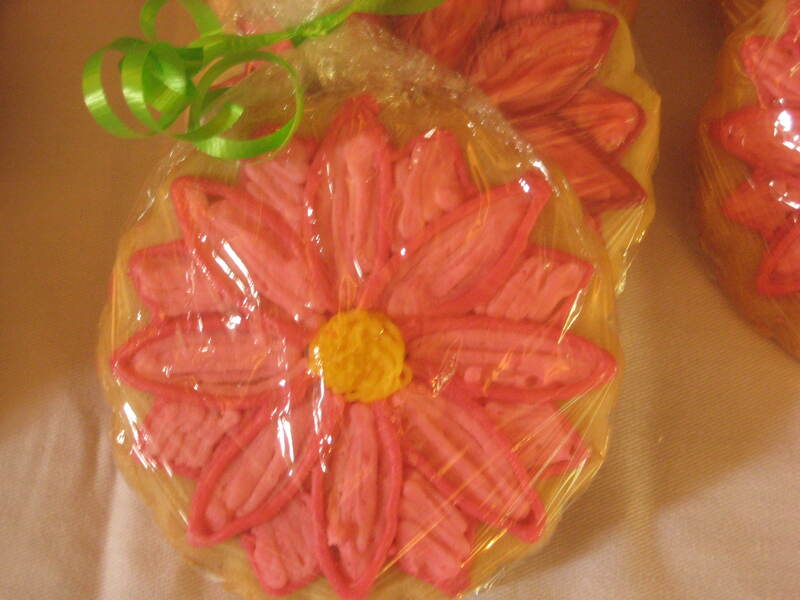 They were actually very easy to make, I just did it very free form with a palette knife. Made me remember everyone’s friend Bob Ross! 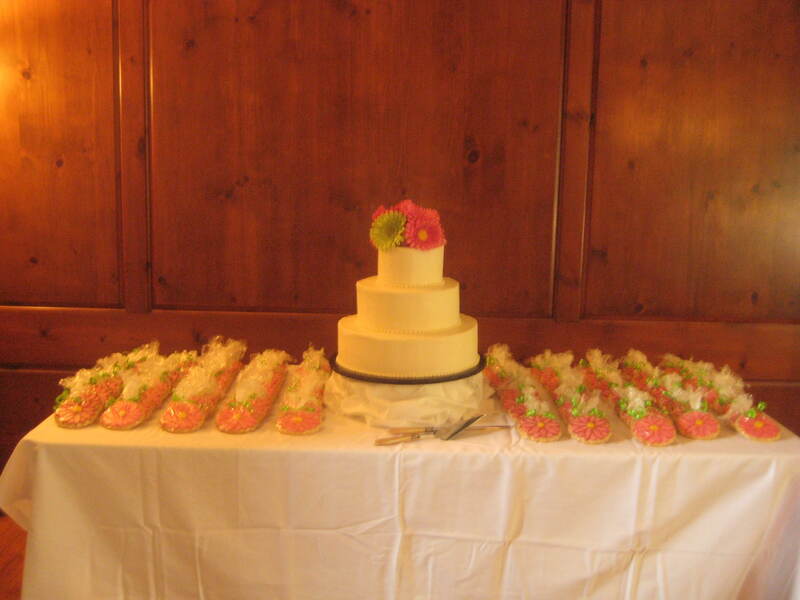 Janelle and Dan’s wedding last May. 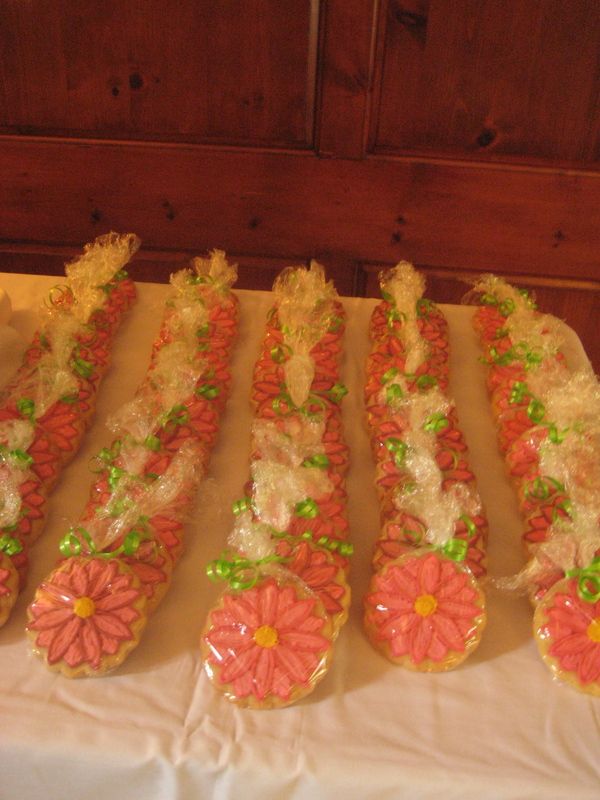 We did cookie favors and a cake. 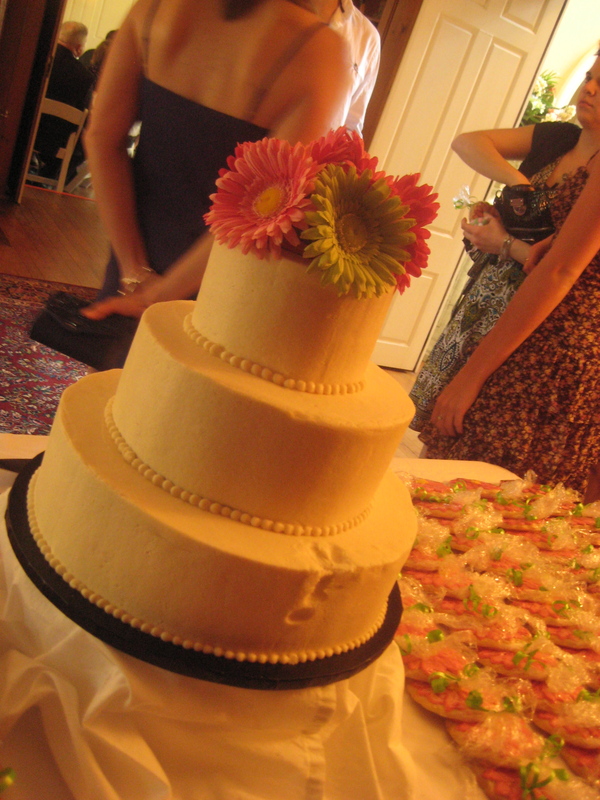 I say we because my sister Sara helped me fill in the flower petals. When she was little she wanted to be a professional colorer anyway, I’m just making dreams come true here! Oh Well, just turn it to the wall and no one will know the difference!